Summer and Winter European Youth Olympic Festivals represent the top events for young athletes between the ages of 14 and 18. These events are organised in two-year cycles, always in odd years, resulting from the initiative of the Association of European Olympic Committees (EOC). 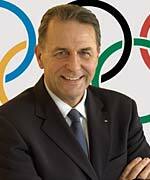 Jacques Rogge, current President of the International Olympic Committee, became the author and founder of the so-called small Olympics for youth of the “Old Continent” at the beginning of the 1990s. Summer sports had their premiere in Brussels in 1991; Winter sports followed two years later in Aosta – both under the old name: EYOD (European Youth Olympic Days). By founding an important sports event for the youth, Europe has continued the tradition of other continents – e.g. the Asian and Panama Games. Both summer and winter Festivals pride in high prestige. 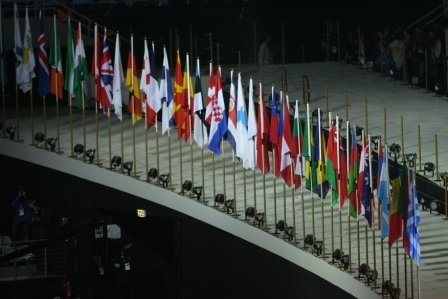 This is shown in the fact that they include both opening and closing ceremonies; during the entire time of the Festival the Olympic flame is burning; both athletes and judges take their oaths; and when announcing the best athletes, the national anthem is played in honour of the winner, and the flags of all medallists rise up the pole. Approximately 2,500 participants come to the summer festivals; in winter, there is approximately 1,300 participants. Important state representatives and politicians became regular guests and great fans of these competitions. They are people such as Juan Antonio Samaranch, honourable President of the International Olympic Committee, or Jacques Rogge, current IOC President. In the past, European Youth Olympic Festivals or European Youth Olympic Winter festivals were visited by: British Queen Elizabeth II; Prince Albert of Monaco; and many other presidents, prime ministers, and ministers from European countries. Both competitions are now controlled by the Association of European Olympic Committees and its committee for either summer EYOSF (European Youth Olympic Summer Festival) or the winter EYOWF version (European Youth Olympic Winter Festival), in cooperation with relevant International and European federations and organisation EYOSF or EYOWF committees. The Association of European Olympic Committees (EOC) consists of 49 European Olympic Committees. Official residence of the EOC is in the IOC residence in Lausanne. Patrick Joseph Hickey from Ireland is the EOC President; its Vice President is Alexander Kozlovskij from Russia; and Raffaele Pagnozzi from Italy is the Secretary General. The EOC consists of six expert committees - Guido de Bondt from Belgium is the Chairman of the committee for EYOF (EYOWF).